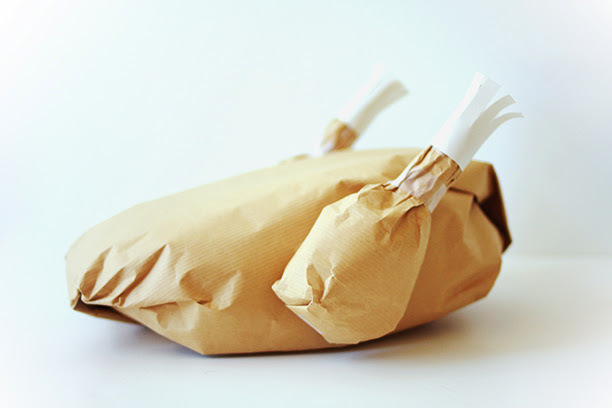 This paper turkey might be the definition of genius. Take some simple supplies you have laying around the house and make the perfect Thanksgiving craft/goody basket that is sure to please even the most hardened anti kitch host. I love it! Kudos to the brains behind The Band Wife for not only dreaming it up but showing us exactly how she did it. She also made this pretty awesome cat pillow that may or may not be making an appearance on a couch near me. Sooo cute! I may have my art students make these for our Fall Feast decorations for the tables. Thanks for sharing.